Most of us don’t like change. Transition periods are uncomfortable and unsettling, and there’s nothing like a big change to knock us off our game. But as entrepreneurs, change is inevitable. The life we chose is often unpredictable and erratic. What separates the successful entrepreneurs and those who give up is how we navigate those changes. The publishers were resistant to change, but because I was able to embrace and navigate it, I managed to attract a large client base and grow my PR company into a six-figure business. More changes have come over the years–many newspapers and magazines have gone under, YouTubers and Instagrammers have increased their influence–but our ability to flow and shift with the changing tide has allowed us to stay above water while so many others in PR have sunk. It’s not always stress-free (I’ve had my share of panicked moments! ), but with time, it gets easier. As an entrepreneur, you will inevitably endure many transition periods over the course of your career. Team members will leave and you’ll hire new ones, clients will leave and you’ll sign new ones, revenue streams will ebb and flow and new ones will present themselves. Reflect before taking action. I am a “get ‘er done” type of person, so when I’m faced with a challenge or obstacle, my immediate reaction is to charge at full speed to conquer it. If a team member leaves, I’m inclined to start searching for their replacement right away. If we lose a client, I start running reports on their profitability and determine what we need to generate to make up that loss. During periods of change, I’m more inclined to grit my teeth and power through, rather than slow down and experience the change. The moment a catalyst causes something to change in your business is the perfect time to reflect. Sit with it for a minute, or an hour, or a day. What caused this change to happen? Why did it happen? What has this opened up or shifted in your business? How can we learn from it? Where should we go from here? A team member leaving can feel devastating (I know, I’ve been delivered my share of two-weeks notices!) but it can also provide an opportunity to change the structure of your team. It’s easy to panic when you lose a big client, but it also opens you up to new opportunities, ones that you may have not had the bandwidth to take on before. By slowing down and reflecting on the change that is occurring, you can identify any other adjustments you may need to make and how to best move forward in your business. Set aside time for professional development. When I first launched Kaye Publicity, I only had a handful of clients, which gave me tons of time to conduct research, read articles, and take online courses. I was able to stay on top of new publishing trends because I had the time to focus on them. But as the company grew, that time was quickly taken over by client work, and the time I spent learning quickly decreased. Again, this was a mistake. 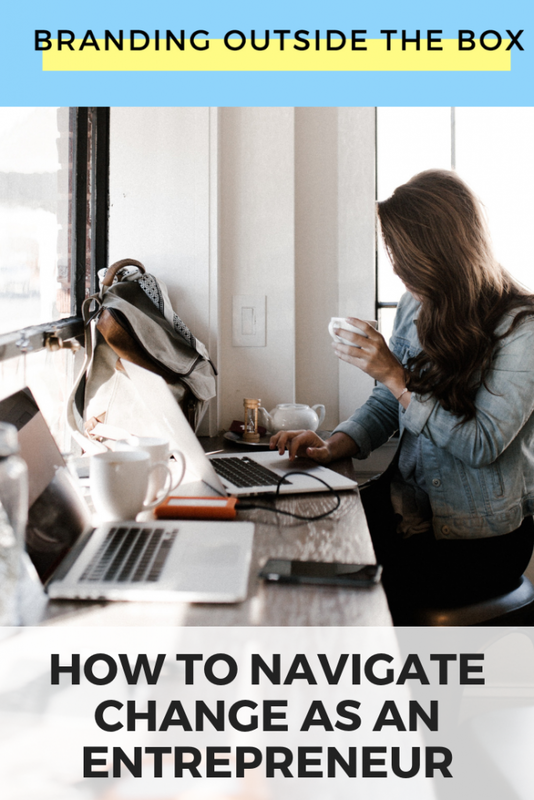 I know firsthand how it easy it is to spend so much time in your business that you forget to spend time honing your skills and learning new ones. Doctors, accountants, and lawyers are all required to take continuing education courses, but even though most professions don’t require it, that doesn’t mean it’s not a good idea. By carving out time to learn and develop, you’ll ensure you’re up to date on current trends and knowledgeable about what’s going on in your industry. Talk it through. When I’m experiencing change in my business, there is nothing better than hopping on Zoom with my accountability partner or meeting an entrepreneur friend for a virtual coffee date. Whatever you are experiencing in your business, chances are, other people have experienced it too. And if they haven’t, they can still offer a pair of ears and a little bit of perspective. I frequently stress the importance of networking, and this is one of the many reasons why. As an entrepreneur and CEO, it can be lonely at the top. You are responsible for making every decision in your company, decisions that often result in a significant impact. Wouldn’t it be nice to discuss those decisions with someone who has gone through something similar? I recommend connecting with other entrepreneurs online, either through Facebook groups, paid masterminds, or just by reaching out on social media. Learn about who they are as people and their vision for their business. They can be in completely different industries; in fact, sometimes that’s a good thing. What’s important is that they’re at a similar level to you in their business, that they share some of your core values and perspectives, and that they’re committed to a mutually beneficial relationship. 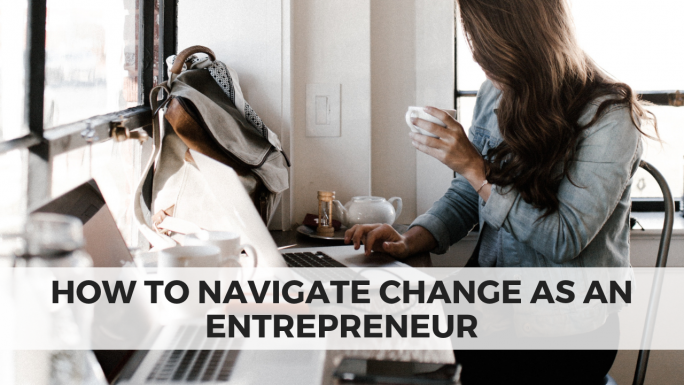 Navigating change is a complex process, whether it’s a big change like hiring a new team member or something small like learning a new system. But by taking time to reflect, setting aside time for professional development, and talking it through with your peers, you can transform the transition period from something stressful into something that will make a positive impact on your business.